Stephen J. Dillane is an English actor. He won a Tony Award for his lead performance in Tom Stoppard's play The Real Thing. 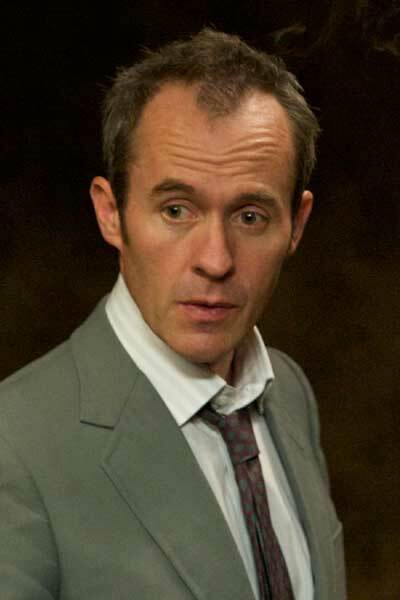 Dillane was born in Kensington, London, to an English mother, Bridget , and an Australian surgeon father, John Dillane. He read history and political science at the University of Exeter and afterward became a journalist for the Croydon Advertiser. Unhappy in his career, he read how actor Trevor Eve gave up architecture for acting and was thus inspired to enter the Bristol Old Vic Theatre School. His sons, with actress Naomi Wirthner, are actor Frank Dillane (Harry Potter and the Half-Blood Prince) and Seamus Dillane. Stephen Dillane's younger brother Richard Dillane is also an actor. Whole or part of the information contained in this card come from the Wikipedia article "Stephen Dillane", licensed under CC-BY-SA full list of contributors here.